Now that we are finally getting around to catching our breaths after seeing striker Barak Yitzhaki's spectacular overhead goal in Maccabi Tel Aviv's 3-1 triumph over Maccabi Haifa, it appears that in Europe, too, this remarkable display has caught the footballing public's eye. As is their custom, UEFA have noted on their official website the significant current events in European football, including "European goal of the week". This week that honour has been bestowed on none other than our own beloved Barak Yitzhaki. According to UEFA, Yitzhaki received a pinpoint pass from midfielder Mahran Radi and "time stood still" as the ball entered the net. 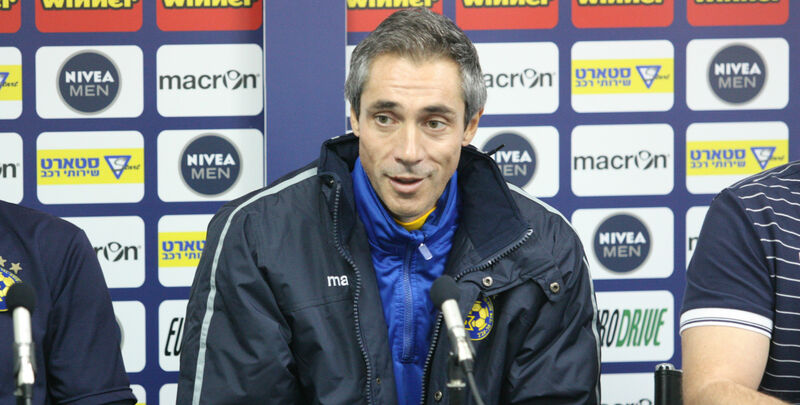 Yitzhaki was also quoted as saying to teammate Eran Zahavi before the match that he had a premonition he'd be scoring with an overhead kick, a prophecy that fulfilled itself during the match. UEFA, however, are not alone in perpetuating the celebration of this remarkable footballing accomplishment. Maccabi Tel Aviv's official Instagram page has invited fans to participate in a competition for the best effort at acting as television commentator at the moment of Yitzhaki's feat. 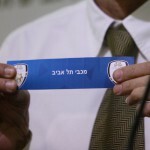 The winner of the competition will have the honour of announcing the starting line-ups at the forthcoming Maccabi home match against Ashdod FC. Click here for more details.